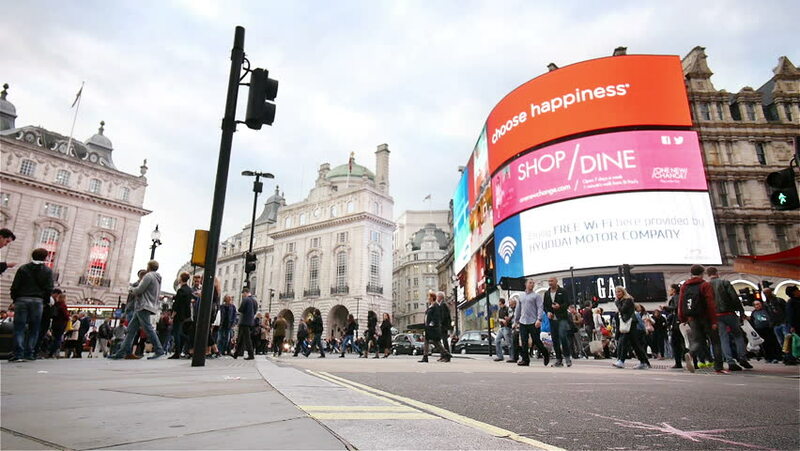 LONDON, UK - 19 SEPTEMBER 2015: Low, wide angle video footage of pedestrians walking through London's busy landmark location of Piccadilly Circus with its iconic advertising hoarding. hd00:40Vienna, Austria. 04.25.2018. Graben. Evening. hd00:16LONDON - July 22: View of Piccadilly Circus, road junction, built in 1819, famous tourist attraction, links to West End, Regent Street, Hay Market, Leicester Square, on July 22, 2015 in London, UK. hd00:08LONDON, UK APRIL 3rd: Piccadilly Circus on April 3rd, 2012. Picadilly circus in London, England. hd00:21LONDON, UNITED KINGDOM - MARCH 29: People and vehicles cross the Piccadilly Circus in London in time lapse on March 29, 2013. Piccadilly Circus is a major traffic junction and a tourist attraction.